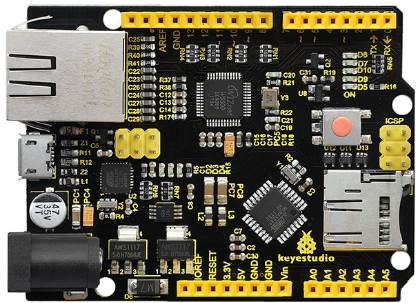 Keyestudio W5500 is based on the microcontroller of Arduino Ethernet.We have integrated USB download, TF card slot and more functions on it, fully compatible with UNO pins. 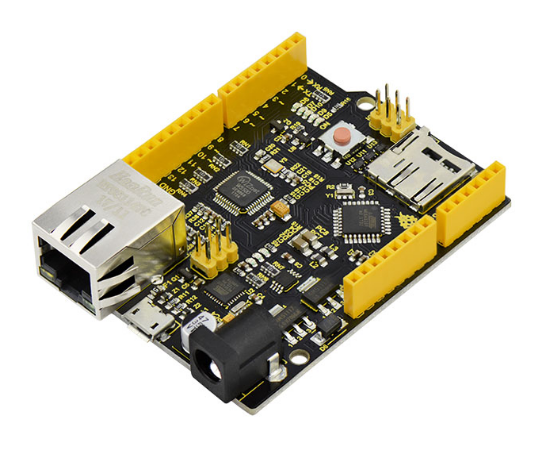 You can quickly make your controller access to internet to build your network application. 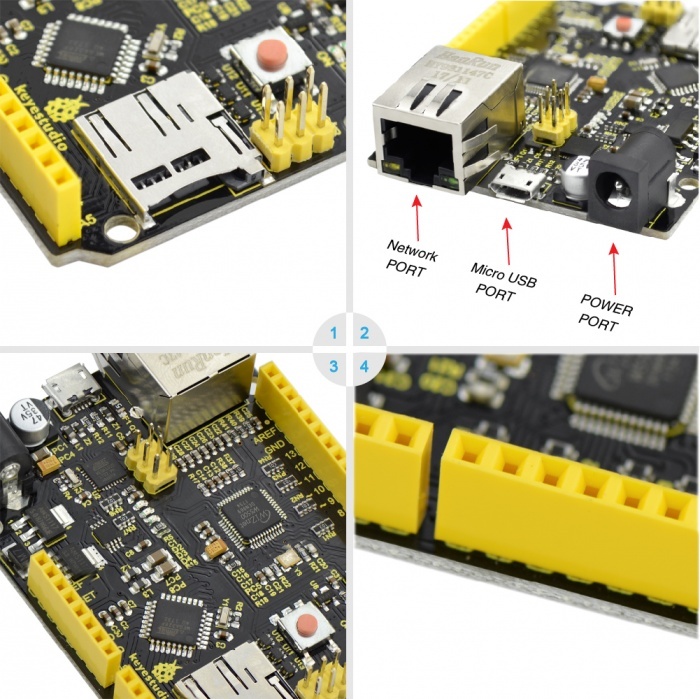 Onboard comes with W5500 network module,which can make Arduino as simple Web server or read Arduino digital and analog interface application via network control. 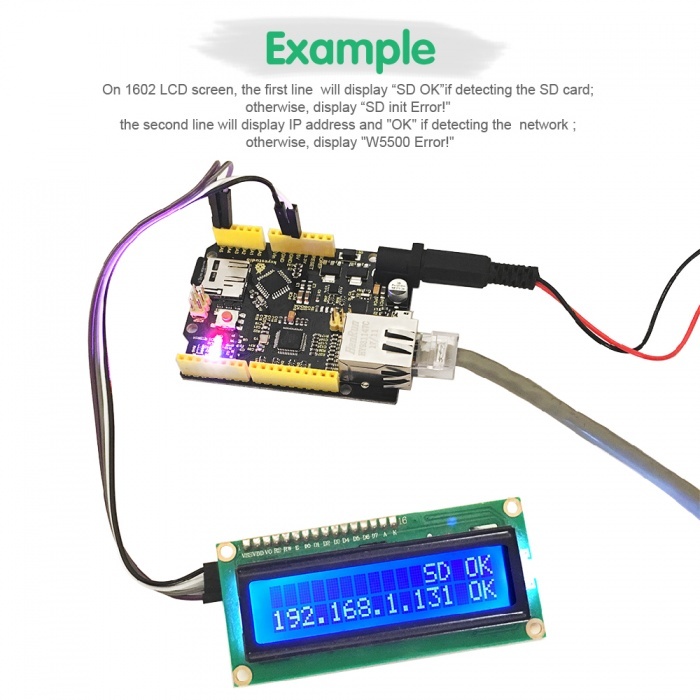 It can achieve a simple Web server through using Ethernet libraries in IDE, meanwhile, support MicroSD card (TF card) read and write, really with powerful functions. // connection fails, stop program run. 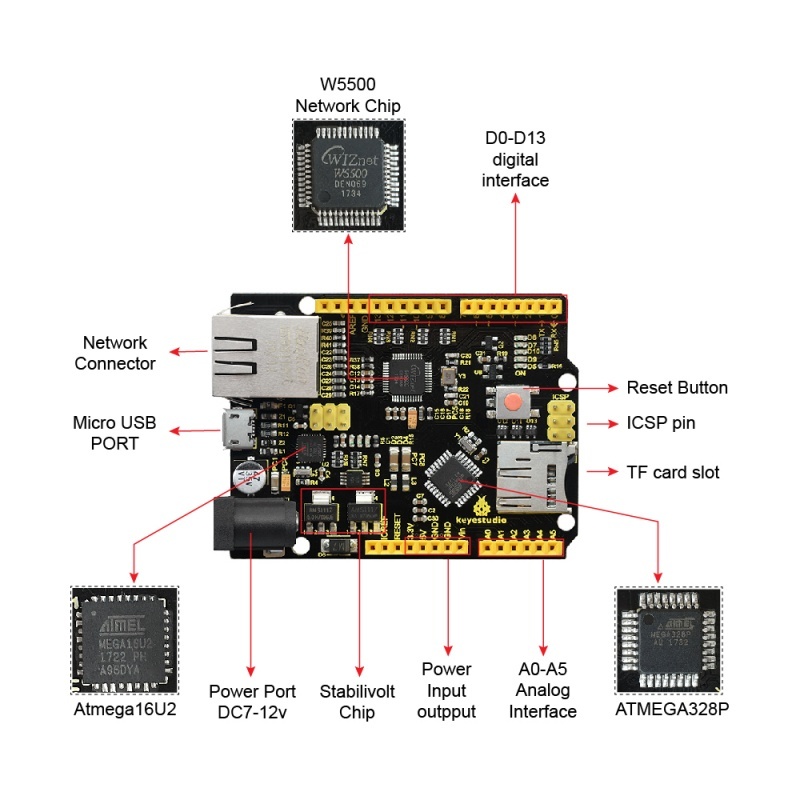 digitalWrite(10, HIGH);                    // but turn off the W5500 chip! // and tweaked to print to the client output in html! // skip deleted entry and entries for . and  ..
1. Before testing, first place the necessary libraries into IDE library directory. 2. 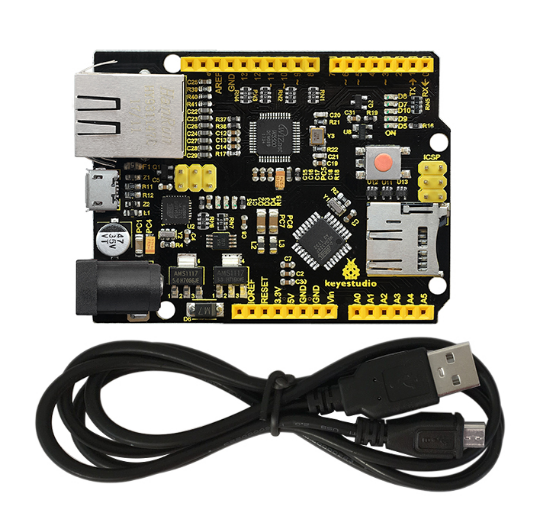 For first test, connect DC7－12V、USB MICRO、TF card and network cable. If accessing to network,two LEDs on the network head are on, D5、D7、D8、D9、D10 LED are on and D8 LED flashes. 3. Upload the code A, D2、D3、D4 light on the main board are on. 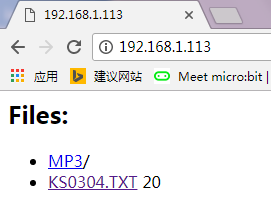 Done uploading, open serial monitor, you can see the network IP address 192.168.1.113, shown below. 4. Then, upload the code B, IP address of code B should be revised as IP address of code A. Done uploading, enter the IP address you got on the browser address bar, it will display the current SD card contents on the web page. If it is TXT file, you can click it to check the content. Shown below. This page was last edited on 18 April 2019, at 11:44.